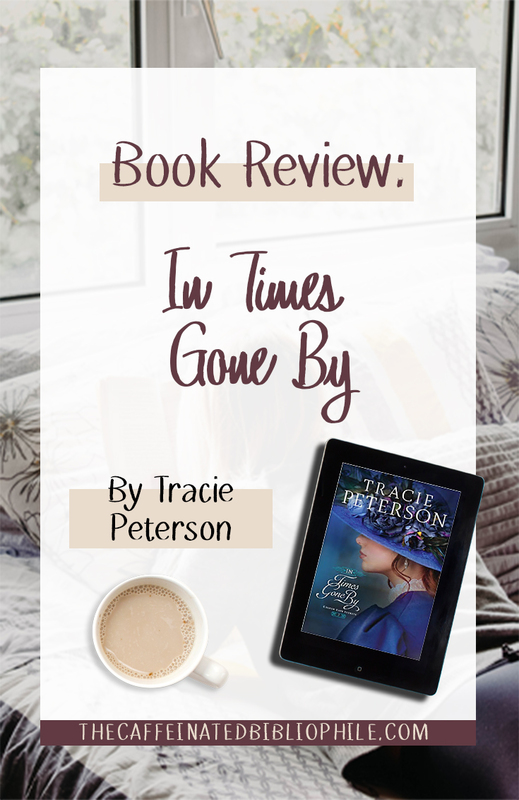 This is the third book in the Golden Gate Series by Tracie Peterson. I had to read the final book to wrap up the entire series! In Times Gone By is the third book in the Golden Gate Series, and covers Kenzie’s story. Kenzie is a young woman who went out to San Francisco after being left at the alter by her former fiance. Kenzie in the previous two books have been staying with Camri and Judith in Caleb’s residence. In the very beginning the 1906 earthquake just happened. The 1906 earthquake was one of the worst earthquakes that the city has experienced up to that point. It was a 7.9 magnitude. During this time, most buildings were not built to withhold earthquakes, therefore most buildings were obliterated, or engulfed in the flames that spread throughout the city. Micah is a young doctor living in San Francisco. He has been trying to win the heart of Kenzie since the beginning of the series. At first she tried her best to ignore her advances. However, I think deep down she did truly like him. I think she just didn’t want to acknowledge it. I liked Micah, he was truly passionate about his practice. He loved his patience, and wanted to help the poor population. He was an honorable man for sure. Just when Kenzie is starting to feel love for Micah her former fiance Arthur Morgan appears to win her back. Ugh I hated Arthur. He had such a fake demeanor and you could tell he was lying about why he came back to Kenzie the entire time. Another main character in the book was Victoria. Victoria appeared in the previous book. Judith finds out she is the guardian of Victoria since she has no family left after the earthquake. I absolutely loathed Victoria. She was such a brat - stuck in a 19 year old body! She wanted her freedom and she would go to any lengths to get it. Tracie does such a good job at creating a setting. I couldn’t imagine living in a city that was almost entirely destroyed by an Earthquake. From what I read online, about 80% of San Francisco was destroyed. I couldn’t imagine living in conditions like that. I would recommend that you read the first two books in the series to understand what is going on in this book. There are a lot of elements from the last two books in this book- and it would be confusing if you have not read the previous two. I really enjoyed the relationship between Micah and Kenzie. They were so cute together! And Kenzie found a new love for nursing. It’s rare to find when a couple get along so well together when working together. I am also glad she didn’t give into Arthur’s schemes and deception. He was not a good man. Victoria and Arthur was getting on my absolute nerves by the end. I won’t spoil anything but they got what they deserved at the end. I really liked the mystery in the story- as to why he was trying to win Kenzie back. I think Tracie paced the story well, and it wasn’t too slow or too fast. The early 1900s always fascinates me because there are not too many books set during that time. It’s always during WWI or WWII. I really enjoyed learning more about San Francisco at this time, and the political struggles it was facing. Kenzie I thought grew the most in this story. She learned what true love really is, and to never let it go. She learned to take a chance on love, even though it’s not always going to be sunshine and roses. I think we all learn that at least once in our life, so I liked that it was relatable. Yes! I think this whole series is worth a read. It’s a lovely story full of love, redemption, hope, and friendship. Have you ever visited San Francisco? I have and I loved it!